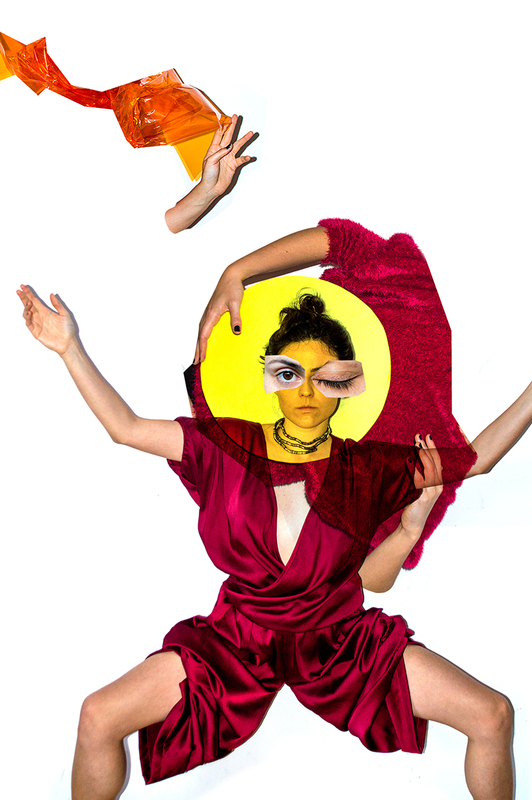 Juliana Coelho (Bomju) is an artist and graphic designer and her production includes collage, photography, video art, performance, stamping, graphic materials and music. Mineira de Passa Quatro (1991) resided in Curitiba for nine years where he studied Graphic Design at UFPR (2013). With extensive production in self-portraits the artist research movement manipulating photographs, sometimes in static images, sometimes taking place in time, where a chromatic and choreographic thought is observed. Participated in the program 20MINUTOS.MOV as resident bag (2017). She is a co-founder of the Collage Club of Curitiba and acts alongside the collective of artists promoting actions on the language of collage in the local scene.